I t’s not too late! 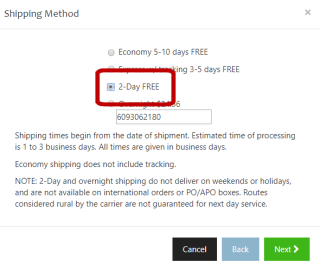 GetÂ FREE 2-day shippingÂ on any dotphoto order of $50 or more. No coupon code required. Just place your order for $50 or more and chooseÂ 2-Day FREEÂ when checking out.Â Good until 12/22/17! Low-cost 8×10 and 11×14 canvas NEW! iPhone 8 and X casesÂ NEW!